Build your web application or service with a Software as a Service business model and access a high-end solution for a low-end cost. Customers can gain access to your services instantly across the cloud without having to download software, manage lengthy install processes or even configure any settings. Switching to offering SaaS can provide your company with a large boost in revenue and help you grow your customer base. To achieve this we can help you with the infrastructure necessary to provide SaaS. Planning To Bring An App In The Cloud?Get in touch with us! With SaaS customers no longer represent one-time transactions, instead you are focusing on a continuing relationship. Our dedicated teams can help you switch your focus to this new strategy. Our team will discuss your situation and present solutions for you to look at. Our teams make use of agile methodology for projects, breaking down each project into smaller steps. By eliminating interdependencies we can streamline the development process and avoid billing you for unnecessary work. 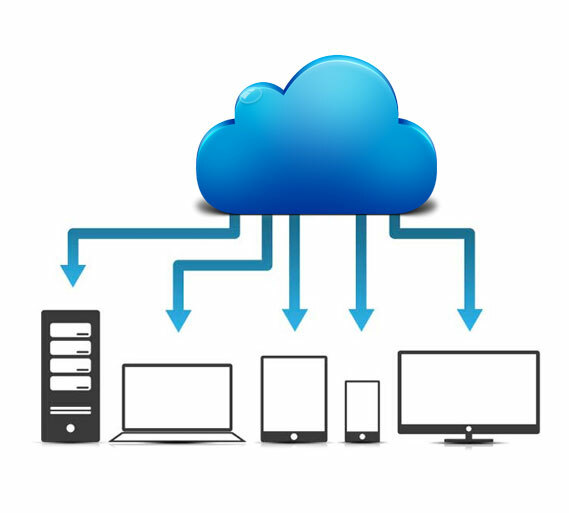 For SaaS to perform you require the correct infrastructure – hardware that is both scalable and reliable. We provide all the advice needed concerning servers, bandwidth, security and backup solutions. Make your app stand out with a personalized look and feel. We’ll not only build your SaaS application but also provide any support and maintenance you might need in the long-term. Should you wish to extend the functionality of your application we can help you using API’s to integrate it with other programs. With our experience and understanding of the retail business we can provide SaaS-based solutions that offer easy management and integration between stores to maximize the usage of resources. Integrate social networks, syndicate content and scale your application as your business increases in size. Offer your customers a dynamic staffing solution utilizing integrations between taxation modules, custom algorithms and multiple APIs for third party programs. Significantly improve your ability to offer eLearning through your own SaaS portal. We can offer increased loading speeds, a superior loading time, stress testing and load balancing so that your customers experience the best possible service. Build a scalable marketplace using the latest in PHP and ASP.Net frameworks. We can provide referral systems, content management systems and even a referral system, in addition to an easy-to-use interface. SaaS-based eCommerce solutions are easy-to-use and highly response, not to mention flexible. With product catalogs, shopping carts and an excellent management system this is ideal for almost any eCommerce business.